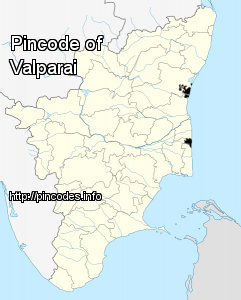 Valparai is a Taluk and hill station in the Coimbatore district of Tamil Nadu, India. It is located 3,500 feet above sea level on the Anaimalai Hills range of the Western Ghats, at a distance of 100�km from Coimbatore and 65�km from Pollachi.There are 40 hairpin bends on the way up to Valparai from Azhiyar. While major portions of the land are owned by private tea companies, large forest areas continue to be out of bounds. As of 2011, the town had a population of 70,859. A Mi-17V-5 helicopter was immediately airborne to carry out a reconnaissance of the area for ascertaining the scope and type of fire fighting required.